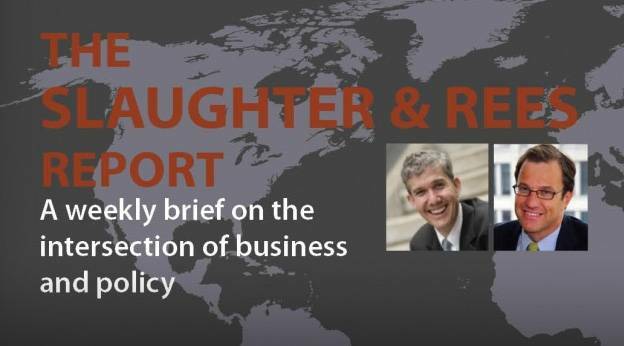 The Slaughter & Rees Report notes growing foreign investment in U.S. firms. The Slaughter & Rees Report sees the purchase of Smithfield Foods by a private Chinese firm as beneficial to the U.S. economy. A few weeks ago, Chinese conglomerate Shuanghui announced a $4.7-billion offer to purchase Smithfield Foods, America’s largest pork processor. If the deal is approved by regulators (Smithfield’s board has already assented), it would be the largest acquisition of an American company by a Chinese one. And like clockwork, this latest milestone of China’s accession into the global economy has sparked the usual fearful commentary about China. There are indeed legitimate concerns about China’s economy and economic policies—e.g., intellectual-property theft and cyber-espionage. But there is much to welcome about rising foreign direct investment (FDI) from emerging markets like China. Acquisitions of U.S. companies by foreign entities are practically an everyday reality in the modern global economy. Indeed, there have been nearly 500 such acquisitions just this year—about three every business day. Smithfield notwithstanding, China is still a small fraction of this total. The number of U.S. companies purchased by Chinese companies so far in 2013? Ten. While Chinese investment in the United States has dramatically increased since 2008—rising from less than $1 billion to $6.7 billion last year—the absolute level is still quite low. Acquisitions of U.S. companies by companies headquartered in emerging markets are part of a long-term trend that is likely to continue. Last year there were 132 U.S. companies in the Fortune Global 500. As recently as 2005, there were 176. During this period, the number of China-headquartered companies on the Global 500 list has increased to 73 from 16. With companies in China and other developing countries seeking new customers and new ideas, the trend of increased investment in the United States is likely to continue. Because of China’s ongoing current-account surpluses, the country on net needs to acquire assets from the rest of the world. Much of this buying has traditionally been focused on U.S. Treasury securities. The Smithfield acquisition suggests a desire to diversify away from U.S. debt—something that should be welcomed by those who fear the size of China’s Treasury holdings. Foreign direct investment in entities like Smithfield also has several advantages for the U.S. economy relative to portfolio investments. They are more stable, because it is more difficult to transact entire companies than their stocks or bonds. FDI also brings a closer link to job creation. According to the Rhodium Group, Chinese firms operating in the U.S. employed fewer than 10,000 people five years ago. By the end of last year, the number had risen to 30,000. What about the risks of state-owned enterprises? Although SOEs remain prominent in China’s economy, Shuanghui isn’t one. In fact, its stakeholders include Goldman Sachs and Singapore’s sovereign wealth fund. And this reflects recent trends. In an analysis published prior to the Smithfield deal being announced, the Rhodium Group pointed out that since the start of 2012 private Chinese firms accounted for 50 percent of the value transactions involving the acquisitions of U.S. companies, up from 30 percent during the 2000-2011 period. And in the 17 deals recorded in the first quarter of this year, 16 involved private Chinese firms. Given the size of the proposed Smithfield acquisition, it will likely be subject to review by the Committee on Foreign Investment in the United States (CFIUS), a panel of government agencies that reviews proposed acquisitions to ensure there is no compromise of national security. We have yet to see any national security implications of a food-company acquisition; and both Smithfield and Shuanghui say they want CFIUS review, so there is no obvious risk to doing so. Should it ultimately go through, the acquisition of Smithfield can serve as an example of a large U.S. company being acquired by a Chinese entity without controversy. Inbound foreign investment has long benefitted the U.S. economy, and a smooth Smithfield purchase would send a valuable signal to China and to the world that the United States welcomes such investment.